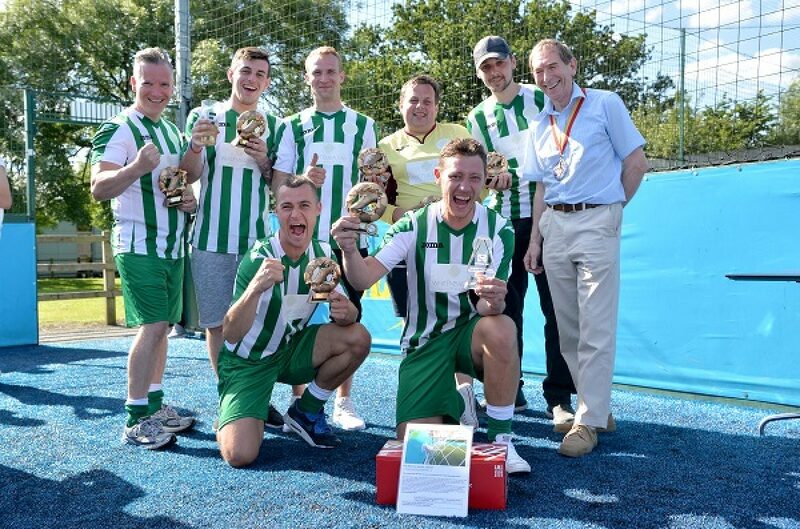 Furnishing industry employees from around the UK descended upon Coventry for the fifth annual Sealy Cup five-a-side football tournament in aid of The Furniture Makers’ Company, the furnishing industry’s charity. Whitemeadow entered 3 teams into the 5-a-side Football Tournament for the first time, with high hopes of bringing home the silverware. There was fierce competition within the tournament, with Lebus, Celtheath, Hypnos and Designer Contracts being some of the teams to compete against. After a tough group stage, the Whitemeadow Wanderers and Warriors both made it through to the Semi-Finals, to play against each other, with the Wanderers coming out on top. That set up the final, Whitemeadow Wanderers V Lebus Upholstery, with Lebus having won every game prior. After going up 3-0, the Wanderers were cruising to victory, but quickly conceded 2 goals which led to a nerve-racking final few minutes. After a hard fought battle, the boys managed to hold out and secure a 3-2 victory to take home the trophy! Not only did Whitemeadow win the overall tournament, but Aaron Cann (Wizards) also won Player of the Tournament, so even more silverware to take home. A great day overall, a huge thank you to The Furniture Makers’ Company and Cabinet Maker for organsing and sponsoring the event. The trophy will be proudly displayed at Whitemeadow HQ.